Brixia Uno are Valuables Safes with a Burglary Test in Grade 1. Brixia safes are ideal for protecting jewelry, watches, cash, documents and other valuables. This high-end safe combines exclusive design with secure storage. Brixia Uno has double-walls that are infused with thermal material for fire protection. Electronic lock protected by toughened steel. If you need to place the safe into a recess of the wall, remember that, to be able to open the door, you will need 5 mm extra in width. Prepared for bolting to the floor or wall via. a hole on the bottom and on the back of the safe. Brixia is designed in Italy and certified in Germany. Grade I prevents burglary access for 30 minutes. Strato di isolamento antincendio - non certificato - che protegge dalle fasi iniziali di un incendio. Uno strato ignifugo rende la cassaforte resistente alle alte temperature durante i primi minuti di incendio. Non è un test antincendio certificato, ma una caratteristica che il produttore fornisce nella costruzione della cassaforte. 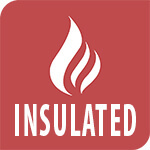 Insulated: a fire insulation layer makes the safe resistant against high temperatures during the first minutes of fire. It is not a certified fire test. The Brixia Uno safe series is characterized by an elegant design that looks great, especially placed in the living room or office. The Brixia Uno series are made of high-quality materials with burglary certification from German ECB-S. A Brixa Uno safe is perfect for storing documents, cash, jewelry, medication or anything that must be stored under safe conditions in businesses and homes. Brixia Uno safes are burglary protected in Grade 1 according to European Standard EN 1143-1 by German ECB-S. Do you need a safe that has a different burglary test? See all our burglary tested safes. Brixia Uno safes are made with heat-resistant materials in the walls and door. The door and cabinet are constructed with high resistance to mechanical and thermal methods of attack, including a special barrier to withstand hammer, drill and cutting attachments. The door is secured with heavy bolts for extra security.The safe comes with an elegant inbuilt user-code lock placed in the door. The handle responds to touch and disappears into the door when it is not in use. The Brixia Uno series can be bolted to the floor and wall. The Brixia Uno series can be delivered with different inserts for storing rings, watches and other valuables. If you have questions about finding the right configuration for your needs, please don’t hesitate to contact us. Did you not find what you were looking for? See Safegear’s full selection of safes. 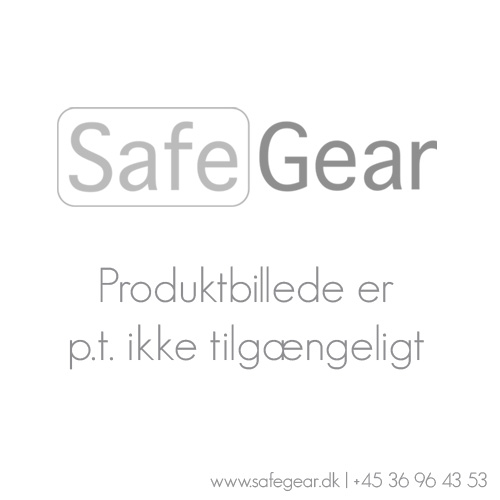 *Please note that the product pictures show the safe series but not necessarily the specific safe you’re looking at. You should always check the product characteristics for the exact dimensions, weight, number of shelves etc. How often do I need to change the Brixia watch winder battery? The Brixia watch winder battery can last a long time, usually more than a year. Should I use a battery or a power supply for the Brixia safe watch winder? Both a battery and a power supply can be used for the Brixia watch winder. However, we would recommend you to use a battery due to the lack of wires and the long battery life. Can I move and organize the drawers and the watch winder in the Brixia safe interior at my convenience? Yes, you can easily remove Brixia modules and change the position of the accessories in the interior of the safe. In a hurry? Let us call you later!